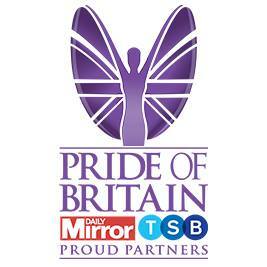 Tune in to the Pride of Britain Awards tonight (1st November) on ITV at 8pm. Sir Tom Jones attended and presented a top award, a truly heartwarming evening celebrating inspirational people, not to be missed! So pleased to be back on The Voice UK! Looking forward to working with the team, my friend Will and new coaching partners Jennifer and Gavin, it’s going to be great! The Voice UK returns on ITV in January. Tom Jones will be chatting exclusively to Michael Ball on his BBC Radio 2 show from 11am on Sunday 29th May. Tom Jones will be attending this year's The Hay Festival to discuss his autobiography 'Over The Top and Back' with the editor of GQ Magazine, Dylan Jones. The Hay Festival takes place in the staggering beauty of the Breacon Beacons National Park in Wales. A very special BBC Music documentary will see Tom Jones chronicle his unique journey through the decade that formed him, The 1950s. In this personal journey through his formative years in south Wales in the 1950s, Tom takes us on a trip through the decade of his childhood and adolescence, the years that shaped his ambition, his talent and his tastes and that witnessed an explosion of popular culture and the sweeping aside of the old order. Television, the movies, the radio and - most importantly - the music of the first rock 'n' roll years, giving a unique insight into both the country and the decade that would shape Tom's talent and, in the 60s, make him a star. Tom Jones is set to host his very own radio show across Smooth FM in Australia. Tom will host four special radio shows, broadcasted every Saturday at 4pm (AEDT) from February 27th in the lead up to his upcoming Australian Tour. Tom will be playing some of his favourite records and chatting about his experiences in the music industry. Tom Jones is currently visiting Australia ahead of his upcoming tour and will be appearing upon several Australian TV and Radio shows. To keep up to date with Tom's media appearances in Australia, please see the below information for the latest transmission details.